The 2nd Annual Highway 49 Americana Music Festival on September 6th will feature a musical performance by world-renowned artist Chuck Mead -of BR5-49- and his Grassy Knoll Boys. Brought to you with support from The Jackson Rancheria Casino Resort and Sutter Creek Provisions. Performers include Chuck Mead (of BR5-49), & His Grassy Knoll Boys, The Palominos, The Slade Rivers Band, and The Brute Squad. allowed us to present a check for $2000.00 to the Argonaut Band Boosters at their recent fundraising event. Kids 12 and under are free when accompanied by an adult. Bring the family for an afternoon of Americana music! Gates open at 3pm, show starts at 4pm. Log on to http://www.highway49radio.com for tickets and upcoming information. In addition to the above, Joseph points out that he really does enjoy creating miniature dioramas. As well as numerous medieval castle dioramas, he has made scenes based on many other historical eras and even dioramas based on the classical music pieces A Night in Bald Mountain and In the Hall of the Mountain King. He currently has a large futuristic (based on the future as imagined in the 1950's) Moonbase Monorail diorama set up at home. 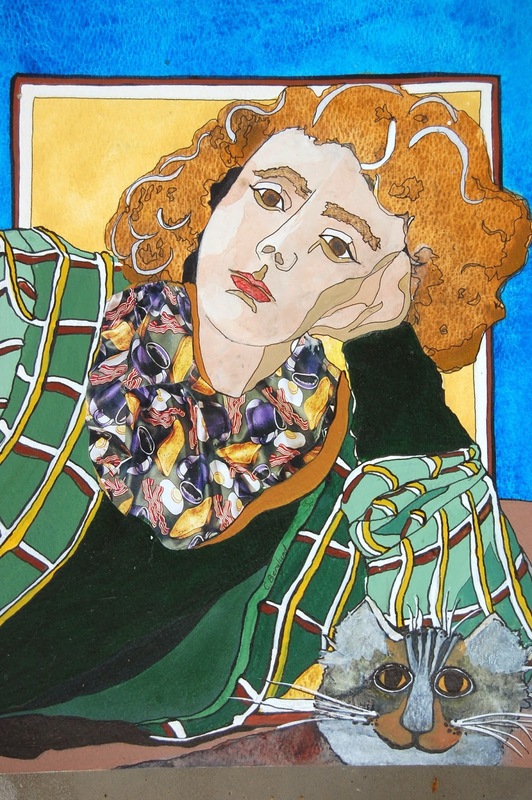 In order to include more Calaveras and Amador County artists in the ground-breaking project,River Reflections, the deadline to submit qualifications has been extended by two weeks to September 6. 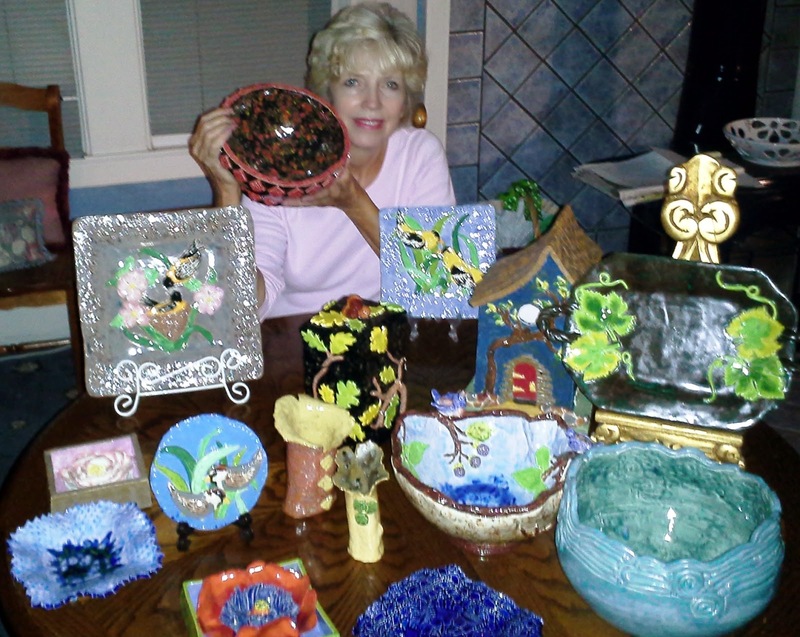 The “River Reflections –Mokelumne River Arts Project, which will include three shows in Amador, Calaveras and Oakland and a Grand Finale Event in May 2015, is slated for statewide attention. 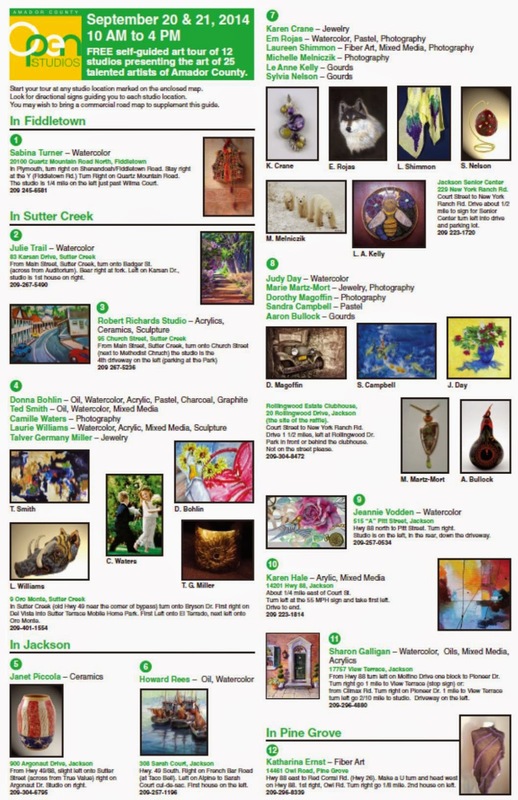 Artists of all kinds –not just painters, but photographers, tattoo artists, jewelry artists, sculptors, dancers, musicians, composers, actors, writers, and video artists are invited to apply. Finalists selected will be notified by September 15th and will then have until December 1st to submit final work which reflects the significance of the Mokelumne River in all of our lives, whether for water, irrigation, power, recreation or beauty. Finalists will each receive a $200 stipend and the opportunity to go on complimentary guided “inspirational” river experiences, including a boat tour of Pardee Reservoir. 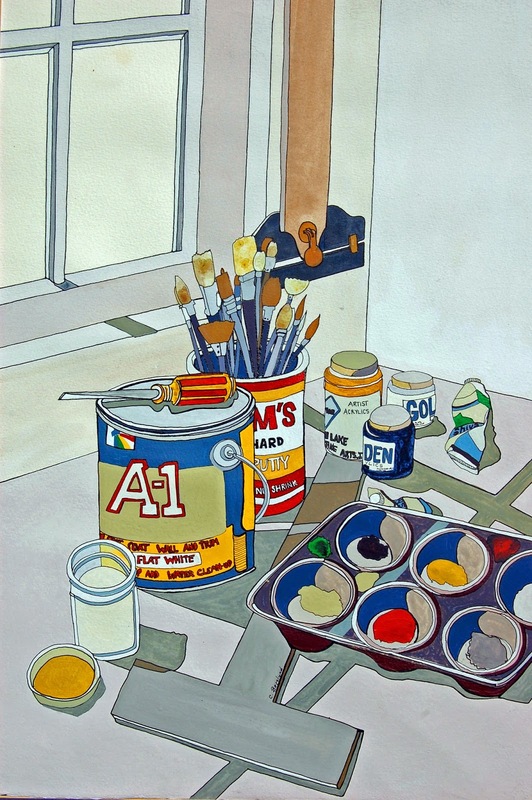 We encourage artists to push the limits of creativity- “Think outside the river,” said a spokesperson from AmadorArts. 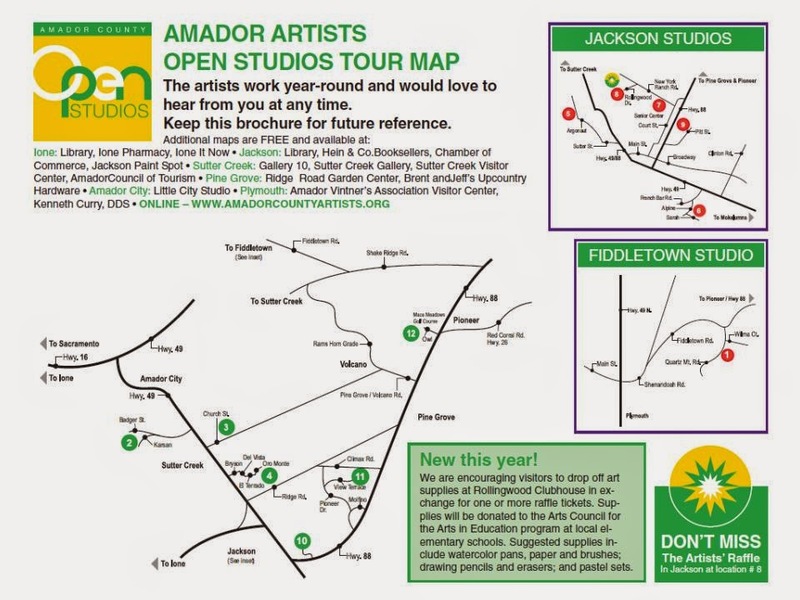 The application details can be found at www.amadorarts.org. This ground-breaking project, which brings together a unique group of local agencies, including: AmadorArts, Calaveras County Arts Council, the Foothill Conservancy and East Bay Municipal Utilities District, is one of only 24 successful grantees out of 157 applicants statewide. River Reflections will use the arts to bring attention to the upper Mokelumne River which is a critical resource for our foothill region and for the more than 1.4 million people who depend on its water, many of whom simply do not know where their water comes from. 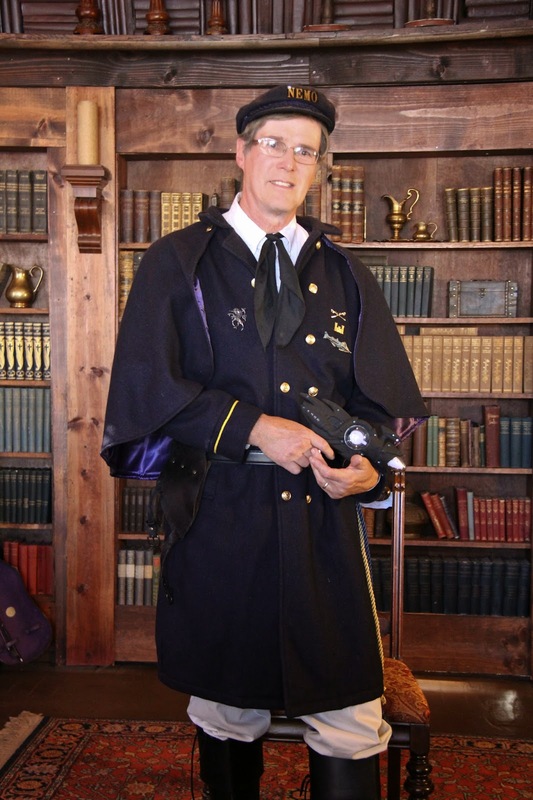 After going to the AmadorArts website, if you need further information, call Terra Forgette, the River Reflections Coordinator at 209-267-9038. Main Street Theatre Works' second summer show is a hot and spicy comedy! The Golden State, by Lauren Wilson, running now throughSeptember 6th. This spicy comedy is Lauren Wilson's reinvention of the Moliere classic, The Miser. Set in present-day Southern California, Gertrude Hopper (Linda Montalvo) rules over her children (Paj Crank and Lisa Derthick) and servants (Ernesto Bustos, Katie Hulseand Julie Anchor) with an iron hand, her fists clenched tightly around her money. She's the original miser ~ hiring illegal immigrants so she doesn't have to pay them a fair wage, and removing lightbulbs from the house to cut back on the electric bill. She has an even more outrageous plan for her two grown children in order to gain yet more money. But the best laid plans for this "Mommy Dearest" are foiled in the most unexpected ways. The Golden State is a hilarious look at greed, lust, and several other "deadly sins." This show runs through September 6th and is rated PG-13 for mature humor. Live Radio Show of "Treasure Island"
On July 13, 1938, Orson Welles decided to follow up his successful radio play of Dracula, with the production of Treasure Island, featuring his acting troupe, The Mercury Theatre On The Air. This October, Main Street Theatre Works is re-creating the literary radio classic with a live stage production, the fourth in their series. This limited-engagement fundraiser for the company will have two evening performances ~ See ticket information in Performance Dates and Times at left. Tickets are $25 and include dessert and coffee or tea. There's also a no-host wine bar Friday and Saturdaynights. For our October event, we're setting things in a more intimate environment, perfect to relive the golden age of radio, complete with live sound effects. Treasure Island was the second weekly episode of the American Radio drama anthology series, performed by the Mercury Theatre Players, directed and narrated by little known actor and future filmmaker, Orson Welles. The episode was an adaptation of the novel, condensed into a 60-minute broadcast. Under the direction of Allen Pontes, who has produced, directed and starred as Orson in the past three productions ~ The War of the Worlds (2 years in a row) and Dracula ~ will have MSTW's production adhere to the same time constraints, same script and live sound effects, just the way Orson would want it. Join us for a fun flashback to the days when people "watched" their radios, and sound effects didn't come from a computer. Come watch how the magic is really made and support Main Street Theatre Works at this fall fundraiser. For more information and to purchase tickets to this Limited Engagement Event, visit the MSTW website at www.mstw.org. You can also purchase tickets at the Kennedy Mine Amphitheatre during the run of The Golden State. Sunday, September 7, 2014, 4:00 p.m. The Music— Pianists Diane Day and Ron Brickman have put together a very attractive program of music performed on two pianos for your summertime listening pleasure. The program begins with the high-spirited, jazzy Overture to the Sinfonietta of Ukrainian composer Nikolai Kapustin. Three delightful short pieces by French composer Francis Poulenc follow: L’Embarquement pour Cythère, Elégie, and Capriccio. The exotic Armenian Rhapsody of Alexander Arutiunian and Arno Babadjanian is followed by the gorgeous Las Niňas romance of Argentinian composer Carlos Guastavino. The first half concludes with the Fuga y Misterio of Astor Piazzolla, an astonishing synthesis of high and low art as the composer combines fugal writing with traditional tango music from the barrios of Buenos Aires. The second half includes four highly effective homages to American popular music by British composer Richard Rodney Bennett: Samba triste, Country blues, Ragtime waltz, and Finale (in “Tempo di Hard Rock”--which says it all). The program concludes with the magnificent Fantasy on Themes from Gershwin’s Porgy and Bess, as arranged for two pianos by the incomparable Percy Grainger. When one of the greatest arrangers of all time for the piano takes on George Gershwin’s timeless music, the result is a sure-fire masterpiece. Duo-pianists Diane Day and Ron Brickman have performed frequently together as bothpiano four-hand and duo-piano artists. Their first concert on two pianos took place at the home of Bruce and Lucille Schonfeld in Pioneer in 2009. Their most recent appearanceswith the Friends of Music series included performances of the Liebeslieder Waltzes of Brahms with the Sonora Master Chorale and house concerts in Forest Meadows. Ms. Day resides in the Forest Meadows community outside Murphys and performs regularly with choral ensembles in Tuolumne County and as the accompanist to the vocal department of CSU-Stanislaus in Turlock. 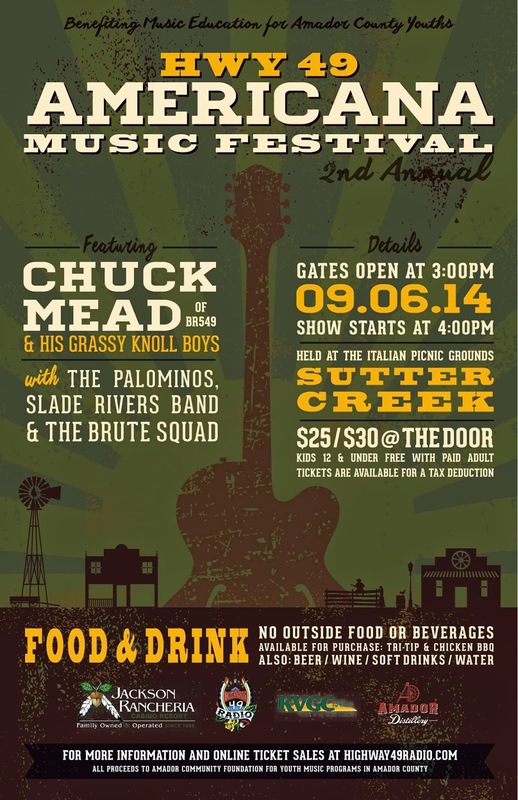 This concert was first performed in the home of Chip Lusby in Sutter Creek in June, 2013. A repeat of the performance allows those living in southern Calaveras and Tuolumne counties to enjoy this exceptional musical offering. But those from further afield who may have missed the first performance—or who may wish to hear it again!—are most welcome. All proceeds after expenses will benefit the upcoming season of the Mother Lode Friends of Music. The Food—MLFM’s favorite caterers. 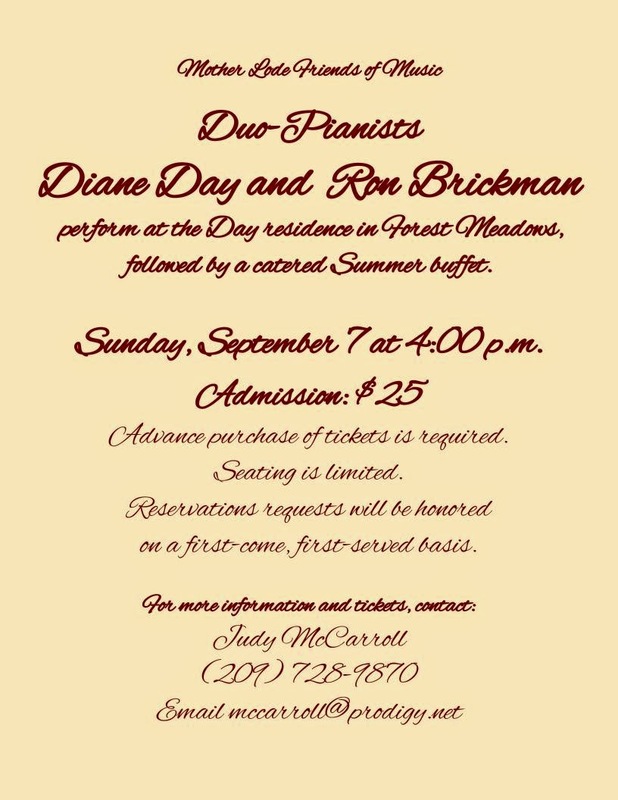 Donna and Jeneca Kretchman, sister and niece of Friends of Music President Ron Brickman, returns for this event. Both singly and together, they have catered many of the Friends of Music’s memorable past events, including the concert at La Querencia outside Murphys in March 2010, the Stoian-Brickman recital at the Papais residence in Forest Meadows in September 2010 and the all-Russian dinner at the Brickman residence in West Point in September 2011. For this occasion, they are preparing a light summer buffet of assorted salads and appetizers with seafood, meat and vegetarian options and desserts featuring seasonal fruits. Assorted wines and wine-based drinks will be served. Iced tea and fruit drinks will also be served. 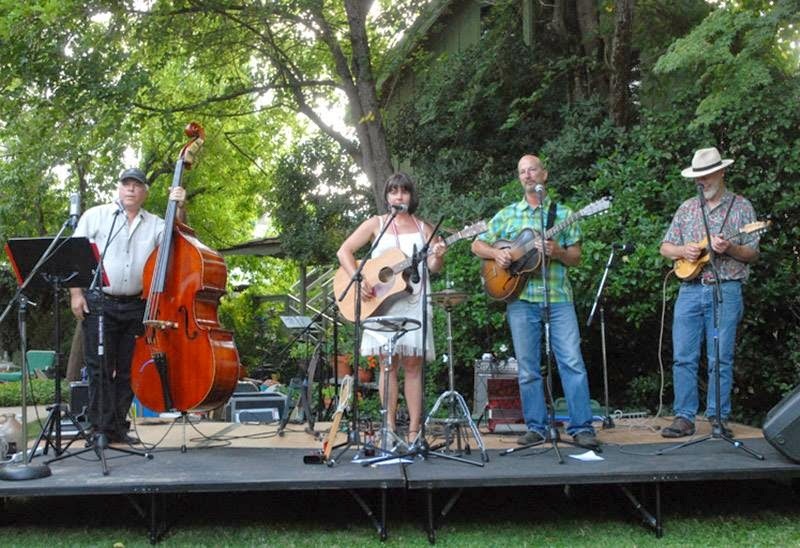 The Setting—The home of Diane and Tim Day at 762 Sugarbush in Forest Meadows has been the venue of several concerts presented to the Forest Meadows community. The addition of a well-matched Yahama upright piano to Diane’s trademark 6-foot Yamaha grand permits, for the first time, this concert for two pianos. Exact directions will be given to those ordering tickets. A golf-cart shuttle service will be available. Ticket information: Advance purchase of tickets is required. Seating is limited and reservations requests will be honored on a first-come, first-served basis. You may send in a check for the number of tickets desired to: MLFM, c/o Judy McCarroll, 989 Sandalwood Drive, Murphys, CA 95247. For more information call Judy at (209) 728-9870, email mccarroll@prodigy.net for a reservation form. In a dazzling summer garden setting, fit for a wedding, AmadorArts is planning a fundraising Home Concert on Saturday evening September 13. 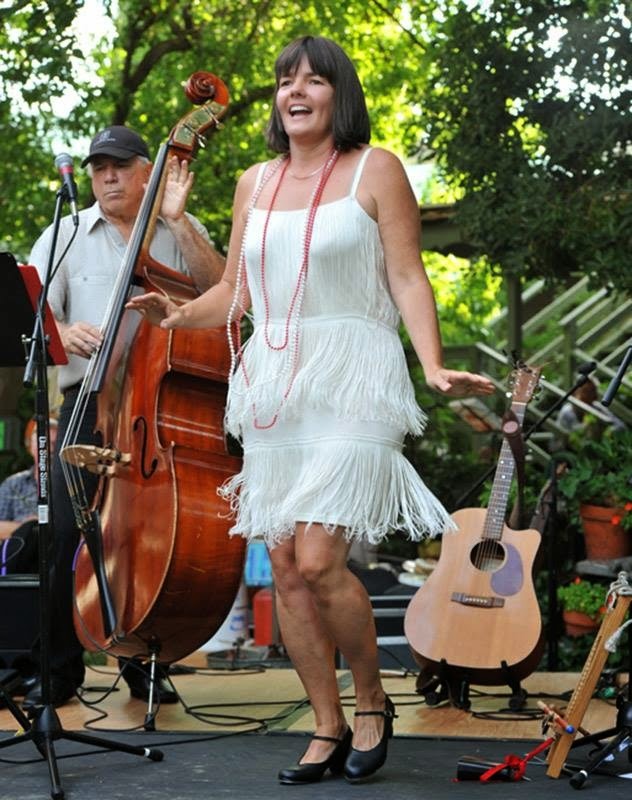 Jazz and pop music by Herb Boxhorn and Klaudia Promessi will be the focal point of the intimate event where only 80 guests will be seated around the spacious, shaded landscaped grounds of the Sutter Creek home of Diane Olsen and Stan Redkey. Complimentary “hefty” appetizers, catered by the Mother Lode Deli, and an affordable no-host Amador wine bar will complete the pleasures of the evening. Herb Boxhorn, guitarist and vocalist, brings his own unique styles combining his background of folk, blues, finger-picking, Jazz and Latin into an eclectic mix truly his own. Performing regionally for over 35 years, Herb puts his signature on many Jazz standards and contemporary tunes. Enriching the sound of this duo is Klaudia Promessi onsaxophone and flutes. 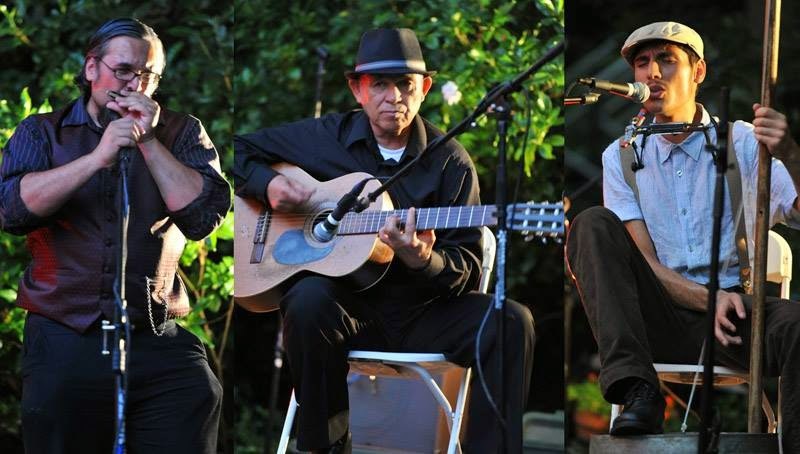 Promessi has toured and performed in Bay Area bands playing Latin Jazz, R and B, Soul and original music. She has composed and arranged music for films. They are both talented improvisers making each of their concerts a unique experience, especially when experienced in a beautiful garden setting like this one, enhanced by good food, wine, and friendship. The gates for this Garden Concert open at 5:30 pm, with the event continuing until about 9:00 pm. This is a fundraiser for AmadorArts, helping the non-profit to continue supporting, promoting and encouraging the arts in local schools and in the community. Admission is $30 per person. Limited seating, so order now by through: www.amadorarts.org or by calling (209) 267-9038. Address of the Sutter Creek home will be released upon your reservation. 1. 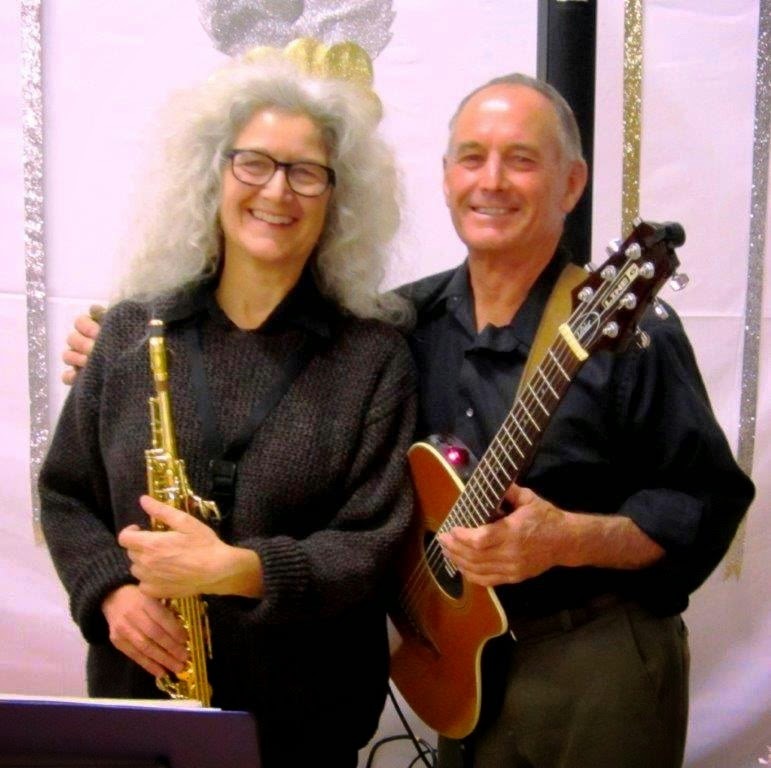 Herb Boxhorn and Klaudia Promessi will perform at the Garden Concert on September 13in Sutter Creek. 2. The cool and shady gardens of this Sutter Creek home will provide just the right setting for raising funds for AmadorArts. 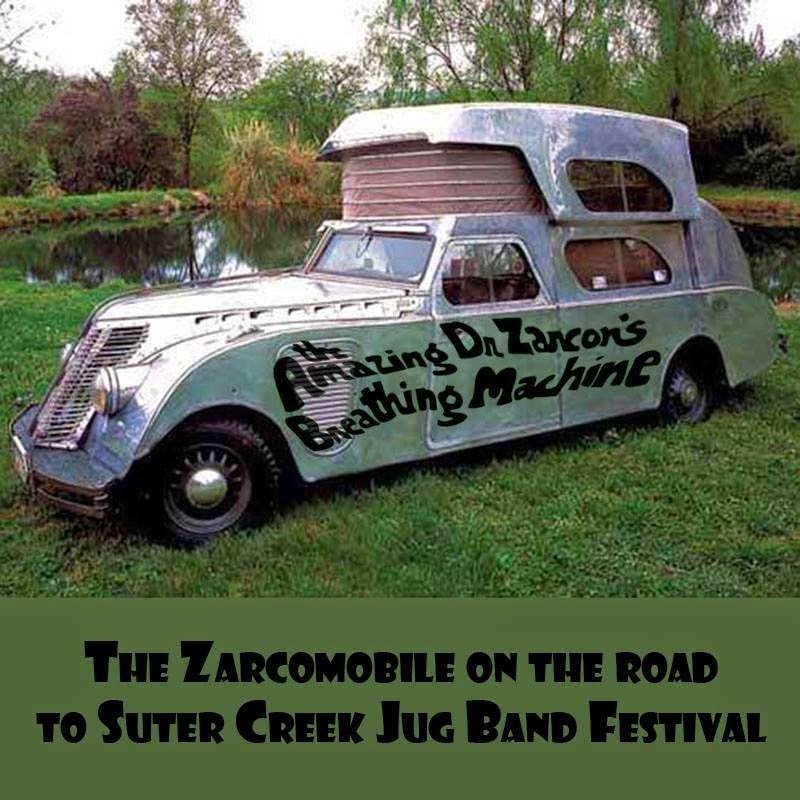 Saturday August 16th on the grounds of the historic Sutter Creek Inn, the International Jug Band Festival will be celebrating its 12th year. 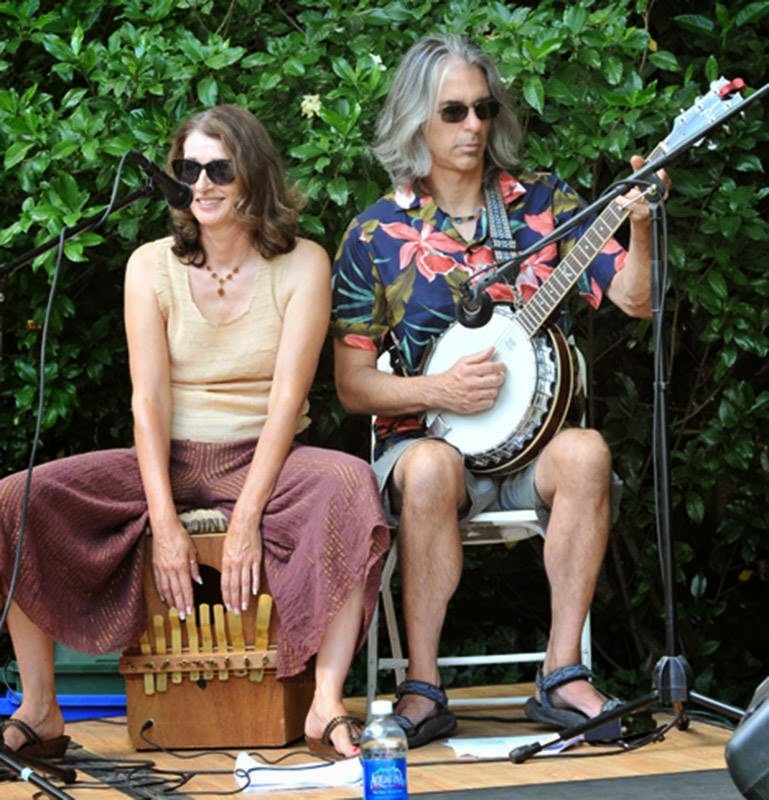 This year’s FREE festival will feature old favorites and new bands showcasing the variety and exuberance that is Jug Band Music. What is Jug Band Music? It is the grass roots of blues, played with any item that will produce music....spoons, saws, fiddles, banjos, wash boards, acoustic guitars, upright bass, homemade bass, and obviously... Jugs. This festival is a "Kick in the Pants" fun time, with music that will get your feet tapping and set your soul free. Dance the day away or just sit under the shade tents on the lawn and enjoy the most unusual and wonderful music, preformed by bands from all over the country and beyond. Set in a beautiful outdoor venue on the lawn of the historic Sutter Creek Inn, (the first Bed & Breakfast Inn in California) right on Main Street, Sutter Creek....the heart of the Gold Country. This little Gold Rush Town is the setting for many events, but the International Jug Band Festival is one of the most unusual. It is a day you will enjoy and remember for a very long time. This year’s festival introduces the Good Time Jug Band from Albany New York. 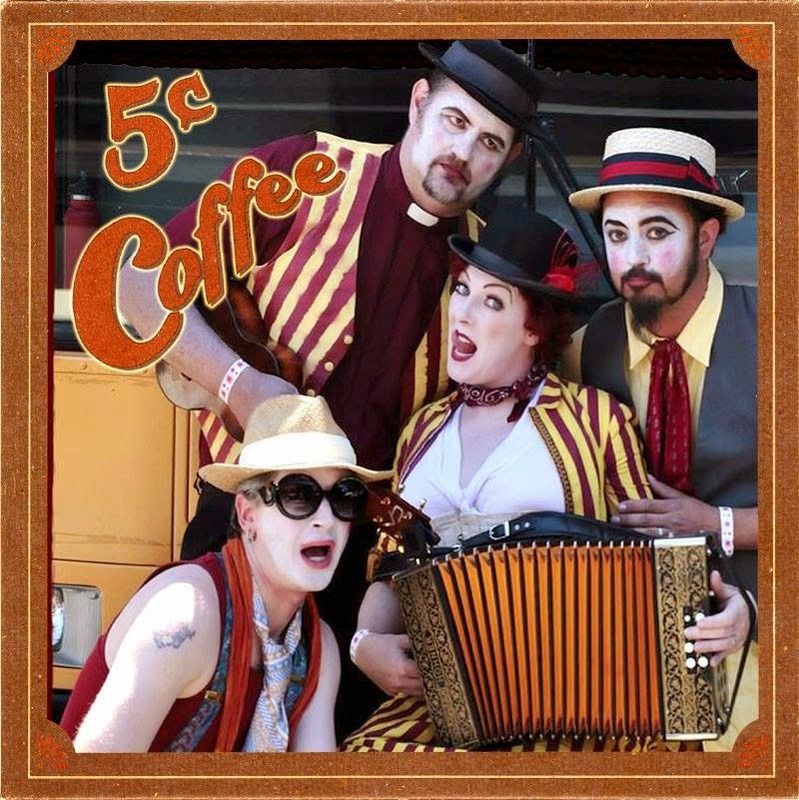 Other Festival favorites: 5¢ Coffee from Vallejo will be celebrating their new CD “Lost Parade.” Last year’s sensationThe Amazing Dr. Zarcon’s Breathing Machine from San Jose returns. You will not want to missMugg Muggles and His Sizzling Syncopaters from Berkeley, making their Festival debut. Newcomers the Jailhouse String Band also from Berkeley, will feature their unique “wall of ukes” sound. Festival stalwarts The Babar Jug Band from San Francisco, will again, put a smile on your face. Dance to the down home rhythm of The South Sac Jukes from Yuba City. The foothills ownBrokin Jug Band will mix in songs from their new CD “Brokin Songs” with whatever strikes their fancy. 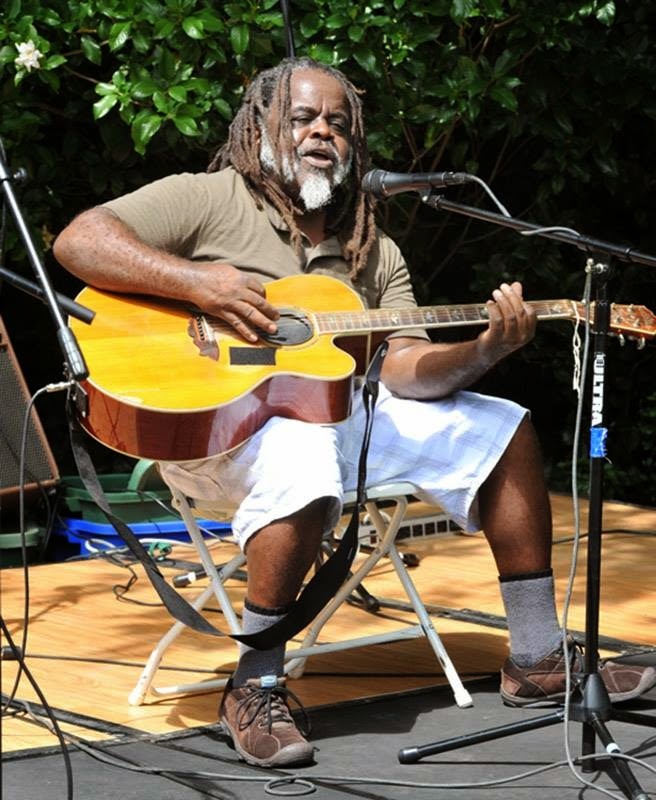 Be sure to see (and hear) blues encyclopedia Waxwing John Cowan and many more acts that will join in on the fun. 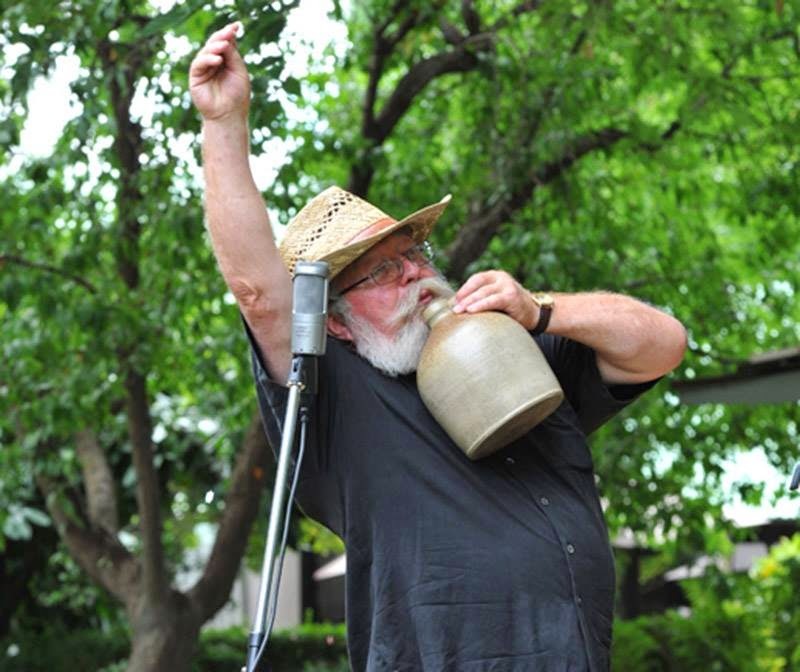 This annual gathering of Jug Bands began in 2002 when Andy Fahrenwald and Wayne Hagen brought a variety of Jug Bands from Northern and Southern California together in Minnie Provis Park, in Sutter Creek. 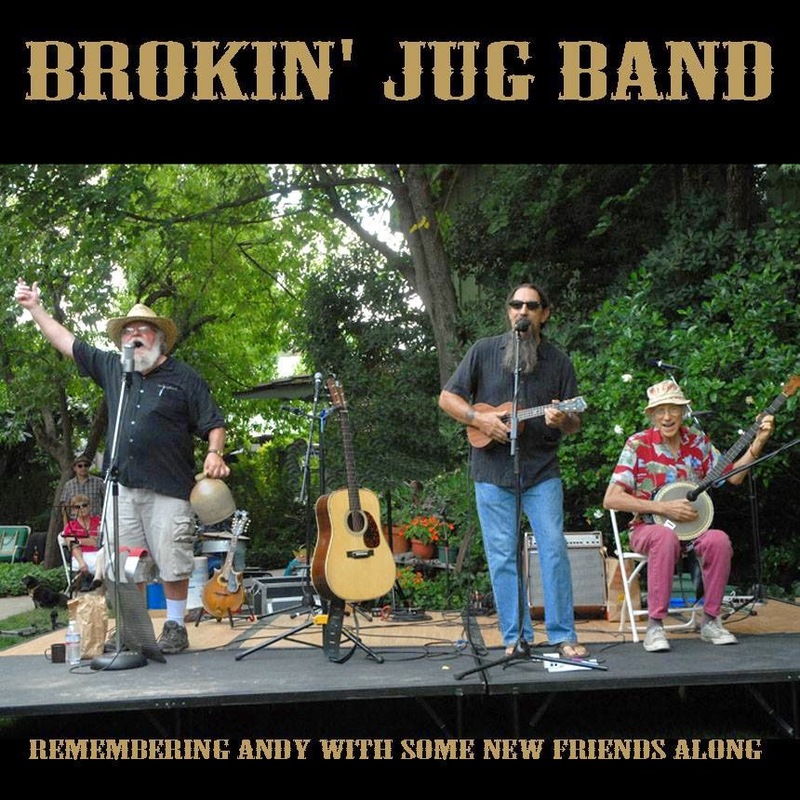 It was the first time jug bands in California were able to gather, hear, and meet other jug bands. Over the years the Festival grew and the California Jug Band Association (CJBA) was born. 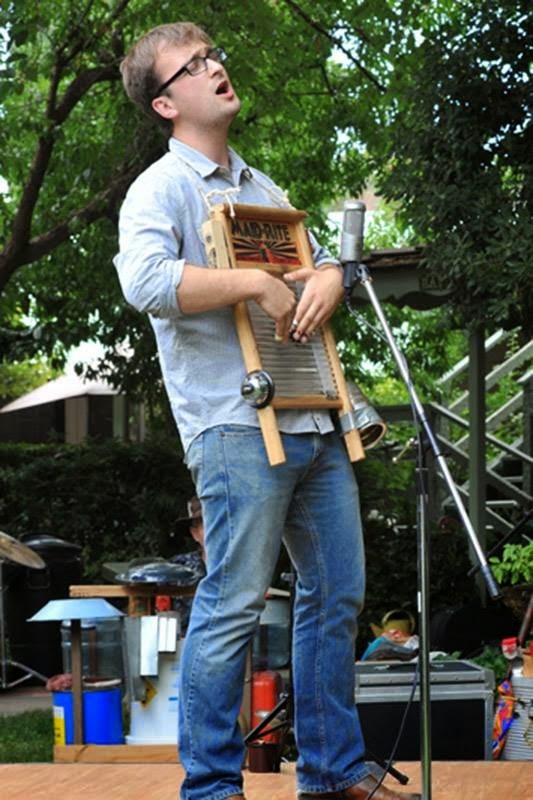 Jug Band Festivals now happen in San Francisco, Santa Cruz, and a network of jug band musicians grew. 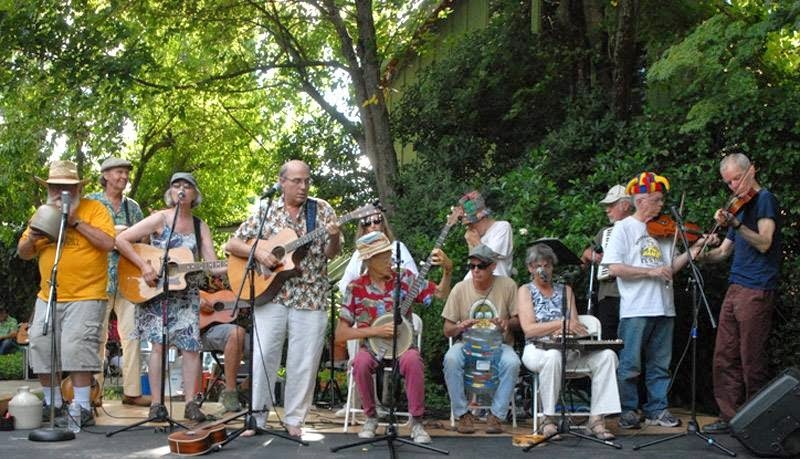 The International Jug Band Festival in Sutter Creek is a fundraiser for the CJBA which would like to thank the people of Sutter Creek for their support over the years. 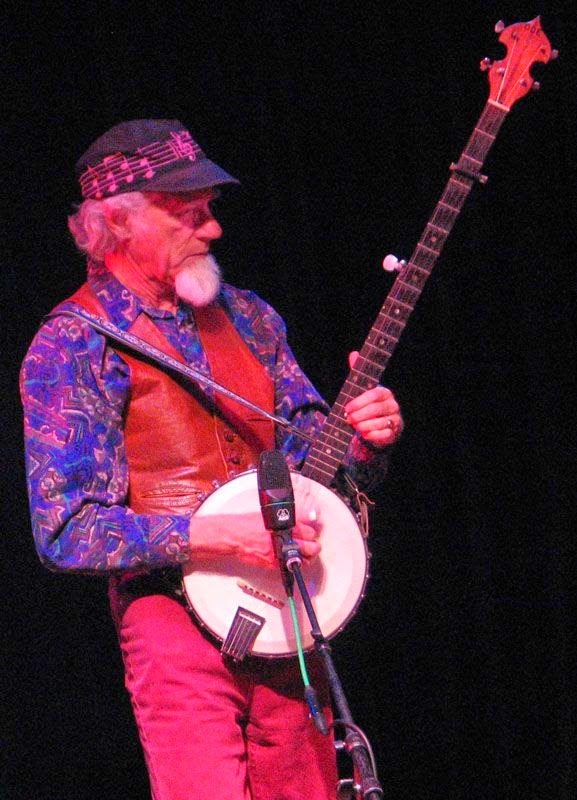 Andy passed away last year but his dream of a free festival celebrating and spreading the joy of jug band music lives on.